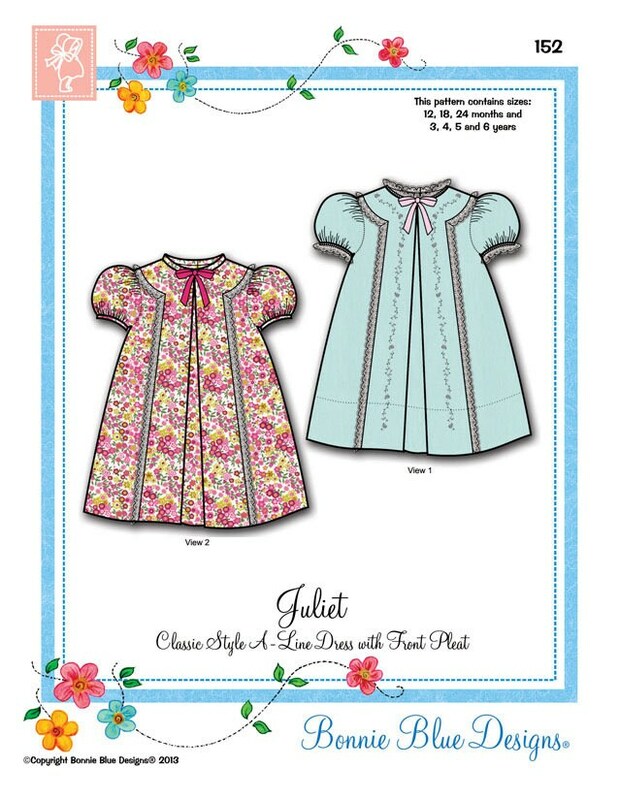 Package includes patterns and instructions to make Classic Style A-Line Dress with Front Pleat. Juliet is an easy to make A-line dress with center front inverted pleat and puff sleeves. Lace or trim is top-stitched onto dress front and back. Dress is closed at back with buttons. 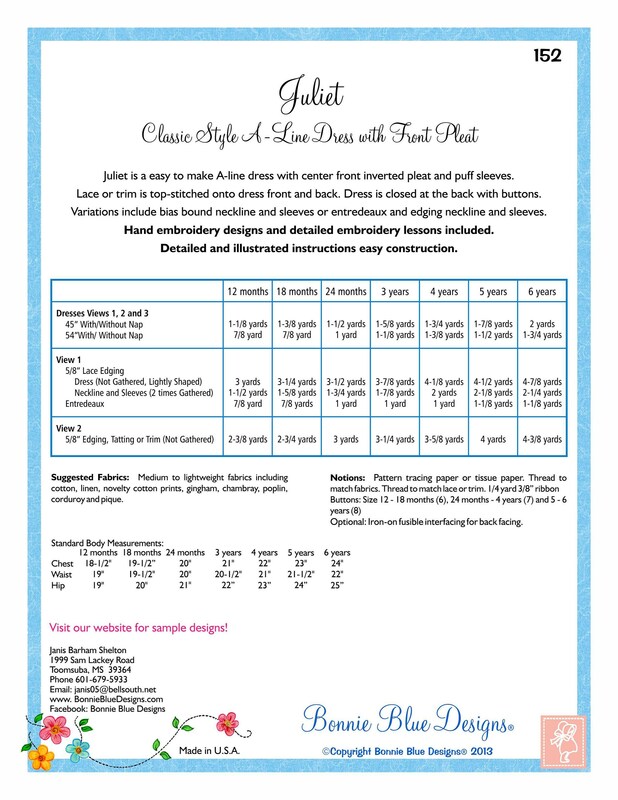 Variations include bias bound neckline and sleeves or entredaux and edging neckline and sleeves.